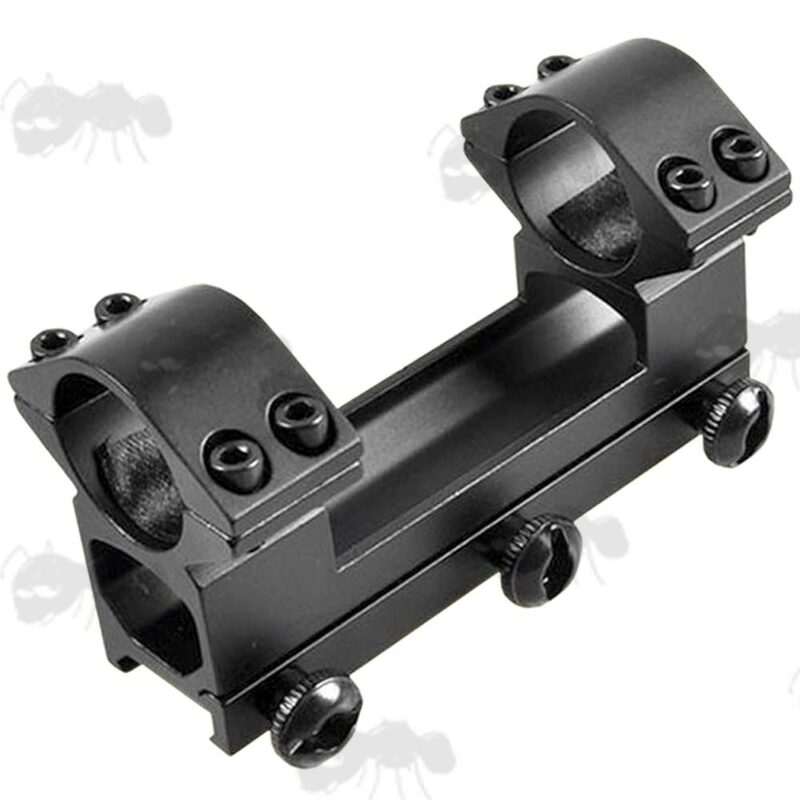 Precision machined high grade aluminium alloy construction with a matte black finish. 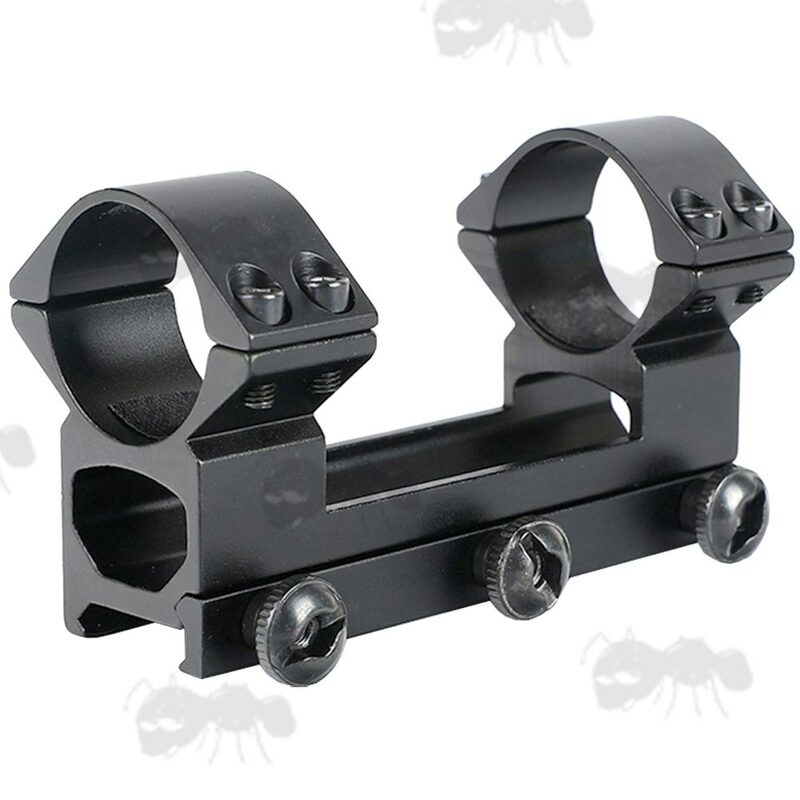 For scopes with up to 40mm diameter objective lens. 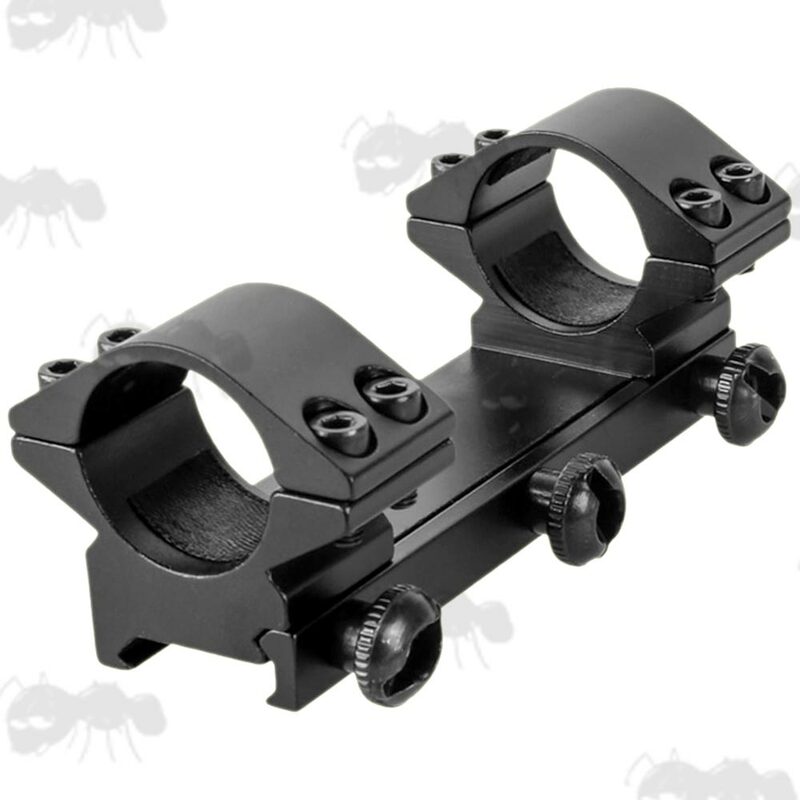 For scopes with up to 72mm diameter objective lens. 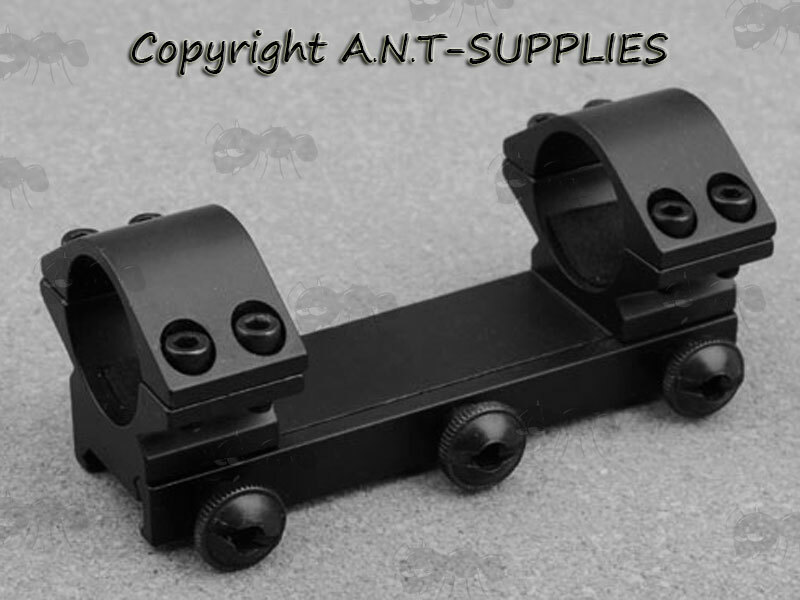 100mm long one piece mount. 20mm weaver / picatinny fitting. PLEASE NOTE: these mounts (at the last time of testing) are not compatible with or DIY weaver rails with flat or curved bases, unless a shim is put in place. 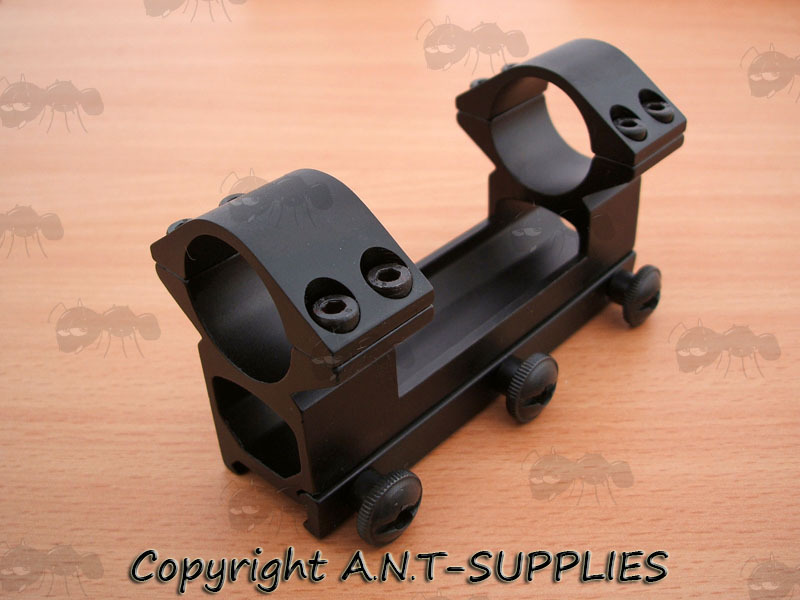 Also available in the same style as two piece scope mounts.